Bites and Remission-era demos, out-takes, and braps by Skinny Puppy’s founder. In the early days of Skinny Puppy, when the band was mostly just an idea, cEvin Key spent much of his time in his apartment, recording demos and experimenting with electronic equipment. 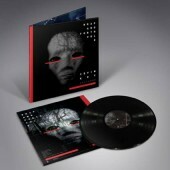 These recordings, some of which went on to be the basis for early Skinny Puppy releases like Back and Forth, Bites, and Remission, are finally released as part of the famous Back and Forth series! 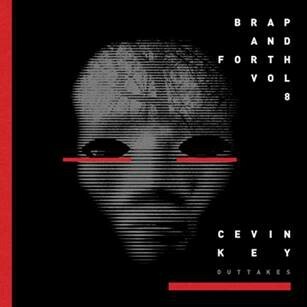 Brap and Forth Vol. 8 is a collection of a dozen demos, out-takes, and braps by cEvin Key, recorded between 1983 and 1985. The collection finally gives us a glimpse into the birth of Skinny Puppy, those first experiments that would blossom and contort into the visionary sound of the band’s first albums. A dozen Bites and Remission-era demos are presented here, transferred from cEvin Key’s own archive, restored, and remastered. Three of the recordings feature Wilhelm Schroeder, aka Bill Leeb, founder and singer of Front Line Assembly, and of course an early Skinny Puppy band-member. The release is bookended by two other demos from later periods, perhaps to emphasize the centrality that the earlier material represents. Artoffact Records will be releasing Brap and Forth Vol. 8 on CD, vinyl, and digital formats.